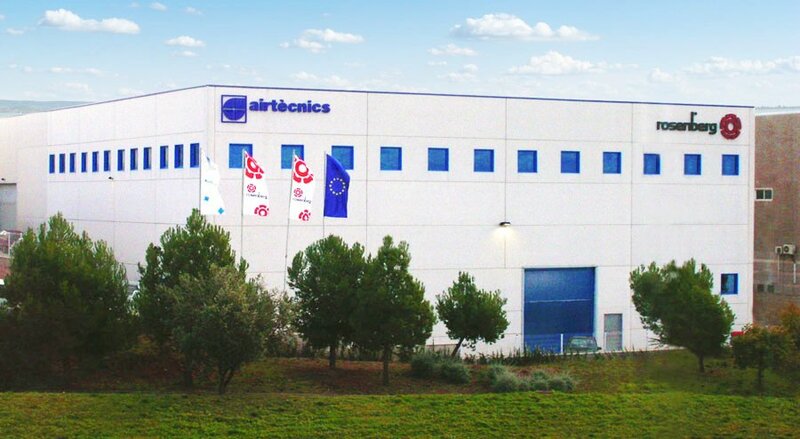 Founded in 1986, Airtècnics is from 1993 fully integrated in the Rosenberg Group, an organization specializing in the design, manufacturing and distribution of equipments and components of ventilation and air conditioning with factories, subsidiaries and agencies in more than 50 countries. Our production plant is placed in Castellar del Vallès, Barcelona, where we produce air curtains, air handling units, fan boxes, fan filter units, axial and centrifugal fans and other special and OEM equipment. Besides our own production, Airtècnics distributes a wide range of HVAC products, mostly produced by Rosenberg Group companies, offering products selected following only the highest standards quality criteria. We are proud of our highly qualified team composed by master engineers, designers, specialized technicians and skilled professionals ready to assist you in any questions you may have regarding to your HVAC system design, installation or service maintenance requirements. Loyal to our commitments regarding our customers, the products that we offer have been selected following only the highest standards of quality criteria. Be sure that Airtècnics or our worldwide distributors network will give you the right solution for any air curtains application. We invite you to come and visit our factory and showroom where you could see by yourself our quality production process and the many samples of our products up close.